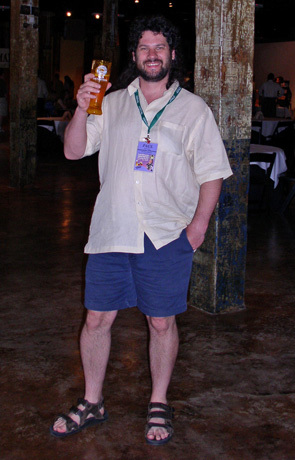 Today is the 54th birthday of Chris Swersey, who’s on the staff of the Brewers Association as the Competition Manager for both the Great American Beer Festival and the World Beer Cup. He coordinates all the judges, volunteers and the thousands of beers needed for each festival. It’s a big job and Chris seems to do it effortlessly. Plus, the last two years, Chris and I both judged in Belgium at the Brussels Beer Challenge, which has been great fun. Join me in wishing Chris a very happy birthday. 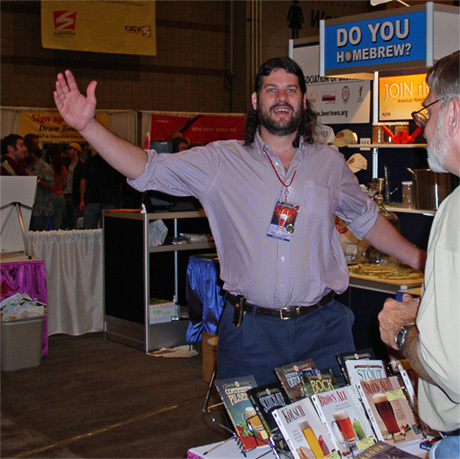 Chris reading the list of World Beer Cup winners in 2008. 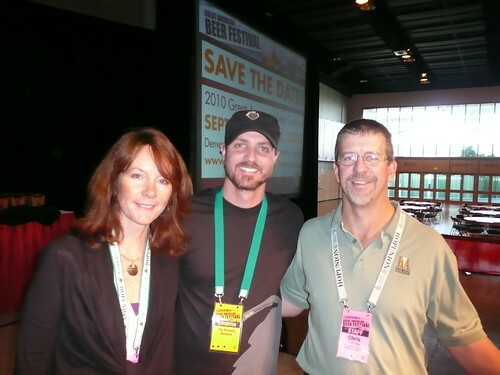 Nancy Johnson, Justin Crossley & Chris right before the GABF Awards Ceremony in 2009. 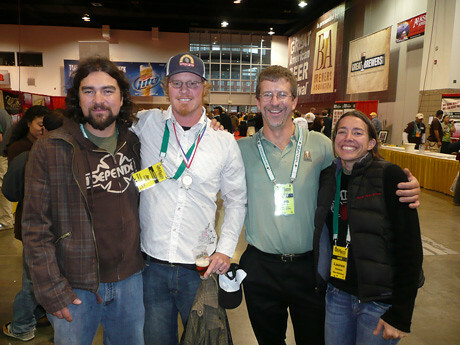 Eric and Lauren Salazar, both from New Belgium Brewing, sandwiched by Jim Crooks, from Firestone Walker, and Chris Swersey, Competition Manager for GABF judging. 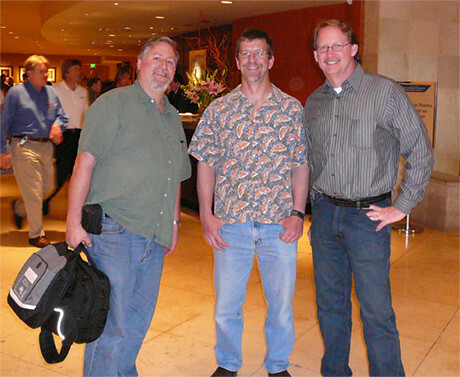 Me, Chris and another BA staff member freshly arriving at CBC in Austin in 2007. Today is also Paul Gatza’s 54th birthday. 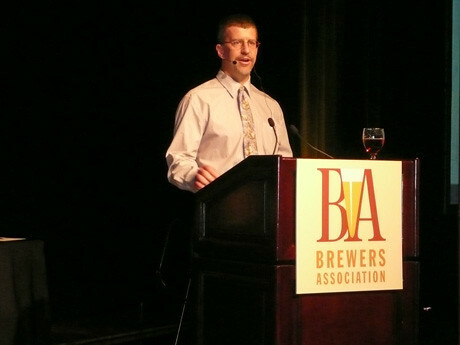 Paul is the Director of the Brewers Association in Boulder, Colorado. 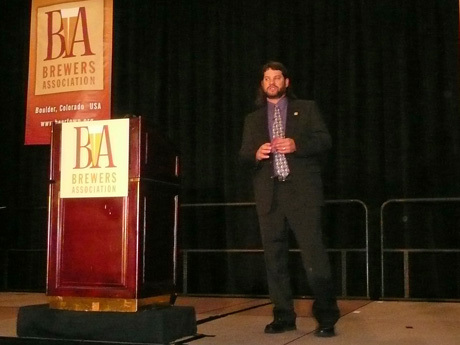 He’s held numerous executive positions with the BA and its previous incarnation, the Association of Brewers. An avid homebrewer, Paul is great face for the BA and a terrific person. Join me in wishing Paul a very happy birthday. Toasting in New Orleans for CBC. Working the AHA booth at GABF. At the podium during the opening of CBC in 2008. Paul giving his annual state of the industry talk at CBC in 2012. Here’s an interesting addition to the historical record of craft beer. 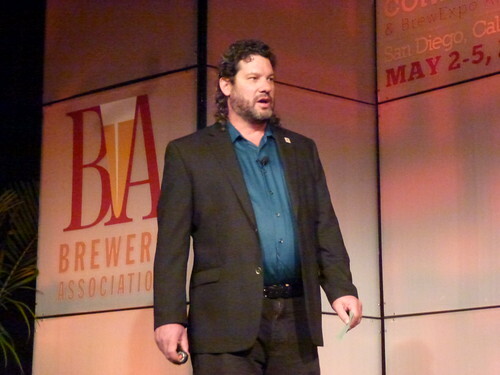 The Brewers Association has created an audio record of stories from their early days, as related by “some of the major players in the industry,” and recorded by newly appointed Brewers Association Board of Directors Chair, Sam Calagione, who quips. “We’re lucky to be in an industry that’s only 30 or so years young—so vibrant and growing—but that our pioneers are still so active in our industry. We have a great opportunity to record the beginnings and evolution of our industry from the folks who started it.” Even though it’s a YouTube video, there’s no video, but instead a still image appears of the person speaking, so you can follow along with who is talking. The whole thing lasts two-and-a-half hours! Enjoy.